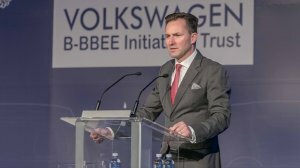 Policy certainty and flexible thinking will play an important role as Africa increasingly looks to the automotive industry to grow its industrialisation footprint, says Thomas Schaefer, chairperson and MD at Volkswagen Group South Africa (VWSA), as well as chairperson of the African Association of Automotive Manufacturers (AAAM). Under Schaefer’s leadership, the German automaker has been investigating expanding its business reach beyond South Africa to a number of African countries, including Ghana, Nigeria, Rwanda and Ethiopia. Schaefer says VWSA is “really happy” with its position and profitability in the South African market, as it provides the company with the opportunity to “look more into Africa”. 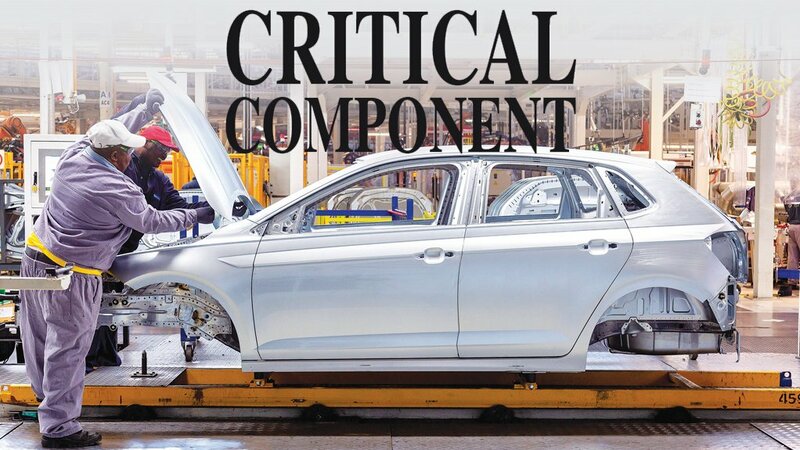 On the home front, the South African government’s newly approved and revised Automotive Production and Development Programme (APDP) provides guidance and stability for the industry up to 2035, allowing for continued investment. “The policy is in good shape. It will help the country and the industry to move to the next level,” says Schaefer. Schaefer says VWSA has the highest local content of all vehicle manufacturers in South Africa at about 45%. He adds, however, that the APDP allows vehicle manufacturers to build extra parts and to export these to earn additional benefits. In other words, manufacturers do not need to consume all the parts in their vehicles. This means VW and other South Africa-based vehicle manufacturers can create suppliers to produce large numbers of parts for their parent companies abroad. He says leather seat covers are an option, while the country also has manganese for batteries used in electric vehicles and platinum-group metals used in catalytic converters. Schaefer says Malaysia decided years ago to focus on semiconductors and electronic equipment. “And guess what? They are the market leader now. Schaefer believes that scale plays an important role when selecting parts to localise. “Bosch will not invest in an injector plant if it is below a million parts a year. So we should talk about why we don’t open this up on a larger scale? We need producers where volumes are a million units, not 50 000 here and 25 000 there. Schaefer says Ghana could consider producing tyres from its rubber resources. Zambia has copper resources and could produce cable harnesses. “If we think of Africa differently, we could work together and have the numbers to support large-scale plants. 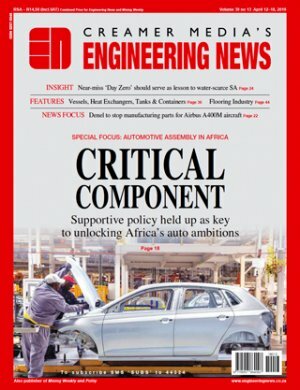 One key factor still holding back many African countries from participating in the global automotive industry is a lack of supporting policy – something which VWSA, Schaefer and the AAAM have been lobbying to change. The AAAM deals with the development of business and trade relations in the automotive field, including vehicle and components manu- facturing, between South Africa and other African countries. The organisation also assists a number of African countries with the formulation of automotive development policy options. Using the assistance on offer from Nissan and VW, for example, Ghana has drafted an auto policy which Schaefer regards “as probably the best on the continent”. Under this new policy, Ghana will tackle one of the biggest obstacles to vehicle assembly in Africa – the large-scale importation of second- hand vehicles from markets such as Asia. With the new policy, Ghana will start to restrict the age of the vehicles to be imported as part of a phase-out period. “It is unbelievable what they are trying to get done,” says Schaefer. In Nigeria, efforts by auto manufacturers to sway policymakers in Africa’s largest economy have had little success. That country’s new automotive policy was completed in 2014, but remains on the President’s desk, says Schaefer. In an attempt to convince those in power of the merits of such a policy, VWSA invited members of the Nigerian government to South Africa last year to show them the advanced Eastern Cape VW plant that produces the Polo and the Polo Vivo. VWSA indicated that such a domestic plant requires local market demand for new vehicles, which fails to exist if a country imports cheap second-hand vehicles. To date, however, there has still not been any movement in creating policy able to foster a domestic automotive industry in Nigeria. Nigeria’s automotive industry has the potential to be three times the size of the South African industry, says Schaefer. Schaefer believes there are two African countries that could potentially make a “major difference” to the continent’s automotive landscape – Nigeria and Ethiopia. The major issue holding Ethiopia back is forex. A $4-billion hydroelectric project on the Nile river is consuming almost all the country’s forex, says Schaefer. Schaefer says VW is working with the Ethiopian government to “unlock their potential”. The answer may be found in the country’s cotton industry. What Is Missing in SA? 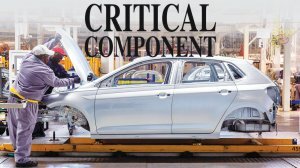 If South Africa has solid, supportive policy in the form of the APDP, why does it sometimes seem unable to become a bigger player in the global automotive industry? Local production is currently 0.6% of global output. “We have unaligned industry players. In many other countries, such as China or Korea, they are pretty aligned,” says Schaefer. In South Africa, however, banks, unions, government and industry will sometimes work against each other. “I believe we could play a major role [in the global industry]. We have the workforce we need, and wonderful resources,” says Schaefer. One solution is to produce electric car batteries in South Africa. 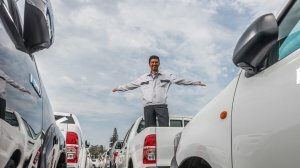 While South Africa is currently still responsible for much of new-vehicle production in Africa, this situation may soon change, says Deloitte Africa Automotive Sector head Dr Martyn Davies. Morocco, in North Africa, is also – similar to South Africa – aiming for production of more than one-million vehicles a year. Davies adds that South Africa also faces the challenge of a disabling regional environment. Asia’s growth engine include economies such as Thailand, Vietnam and Indonesia. “Just imagine if we have Mozambique, Tanzania and Zimbabwe firing on all cylinders for a generation? That is South-East Asia. We have a lot of regional headwinds,” notes Davies. While some African markets are looking to start their own automotive industries, others have been long-term clients of South Africa’s industry. The continent is only now starting to recover from a prolonged and strong downturn in oil and other commodity prices, which stymied the growth of personal mobility in a large number of countries. New-vehicle export numbers from South Africa to the rest of Africa reflect this trend. Exports improved by 9.8% in 2018, compared with 2017, “following a number of years of sharp decline”, says the National Association of Automobile Manufacturers of South Africa (Naamsa). Export sales to the rest of Africa reached 61 015 units in 2014, dropping to 41 431 units in 2015 and 21 848 units in 2017. In 2018, new-vehicle export sales to Africa inched up to 23 988 units. Naamsa says the improvement suggests that demand from the rest of Africa has stabilised and “is starting to recover, albeit from a low base”. Toyota South Africa Motors (TSAM) has historically been a strong exporter to Africa. TSAM president and CEO Andrew Kirby, who is also the Naamsa president, says the rest of Africa should really be the core market for any automotive company based in South Africa. TSAM had strong sales in the rest of Africa in 2012, declining to a low in 2016. Since then, the market has managed a slight improvement. For 2019, there has been a 38% increase in orders received by the company from the rest of Africa, compared with 2018. “This is encouraging. We are starting to see some lift from a low base,” says Kirby. “We are working with markets to try to understand what their customers want from a product point of view,” he adds. About 50% of all Toyotas sold in Africa are made in South Africa.